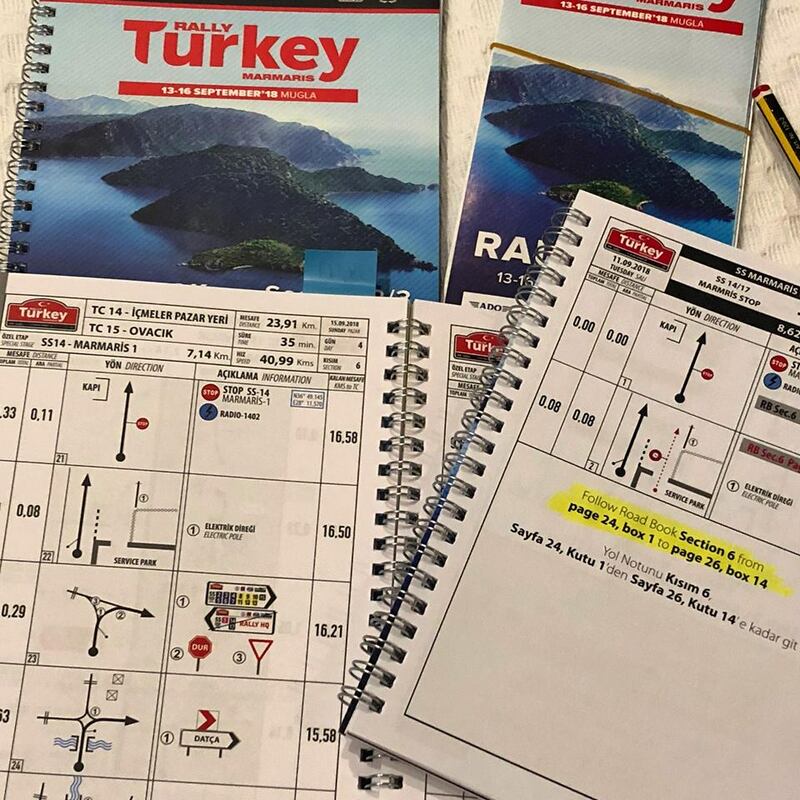 WRC – RALLY TURKEY ?? – PREVIEW. Everything is new as the FIA World Rally Championship contenders head to round 10 of the series and Rally Turkey Marmaris (13-16 September). While the country is no newcomer and was included in the WRC calendar six times between 2003 and 2010, their event was previously based in Kemer, close to Antalya, and then latterly further north near Istanbul. Now, the returning event has moved to the Mediterranean port city and holiday resort of Marmaris promising a totally fresh and very open challenge for the crews heading to this gravel rally. With no previous experience of the roads in the southwest of the country, drivers and co-drivers will have to make pace notes from a blank sheet of paper, and get up to speed quickly due to a lack of prior knowledge about car set-up, tyre wear and performance. Hot, late summer temperatures will also be a factor with the thermometer likely to hit 30 degrees. With nine of the 13 rounds completed, the Championship remains hotly contested. Thierry Neuville continues to top the standings with a 23-point advantage over Sébastien Ogier, but with consecutive victories on the last two events, Ott Tänak has brought himself into play. He is 13 points adrift of Ogier and continues to target event wins. The two main title contenders in the FIA WRC 2 Championship come head to head in Turkey; Jan Kopecký holds a slim seven point lead over Škoda team-mate Pontus Tidemand, the pair having won seven of the nine rounds contested so far this season. The FIA Junior WRC Championship also comes to a thrilling climax on its fifth and final round and no fewer than nine crews have a mathematical chance of the title. With double points on offer for the first time, coupled with points for individual stage wins, there are 67 points left to claim as the contenders battle for one of the biggest prizes in world rallying; ownership of a brand new Ford Fiesta R5 and free registration into next season’s WRC 2 Championship. All these crews are automatically entered in the similar two-wheel drive FIA WRC 3 Championship, with Louise Cook also joining the fray. Three stages will be broadcast live on television: SS12 on Saturday and both passes of Marmaris on Sunday, the second run counting as the all-important Power Stage. All stages will however be broadcast live on WRC All Live on the WRC+ platform. 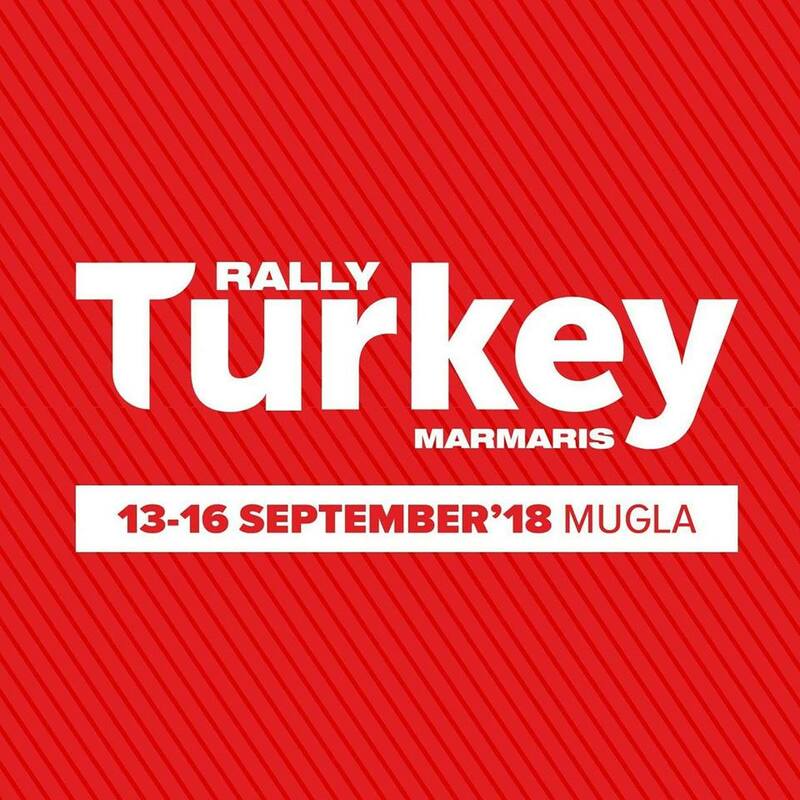 Rally Turkey is one of the most compact on the calendar with 35% of its route competitive. 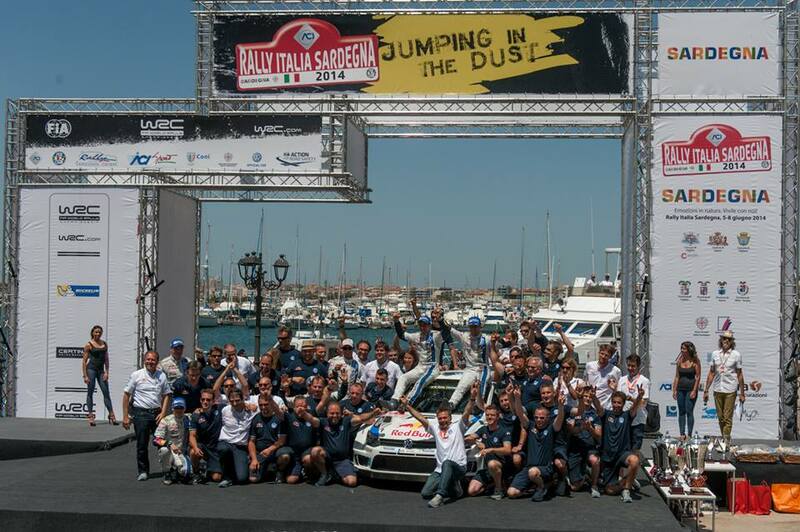 Its return to the FIA World Rally Championship for the first time in eight years kicks off with a short stage through the streets of downtown Marmaris on Thursday evening before the gravel action gets underway on Friday. Heading northeast towards Muğla, the day takes in two identical loops of three stages including the longest of the event. Saturday, to the west, takes on a similar format and packs in 130 kilometres of competition in a total distance of just 306 kilometres. Sunday is short with four stages, culminating with the Marmaris Power Stage that ends in the Asparan Service Park. #MotorSportItalia ?? #MotorsportItaliaWRCTeam ?? #followyourpassion #pirelli ?? SAILING PRIZE FOF WRC 2 WINNER ?? POLO GTI R5: GERARD-JAN DE JONGH BY VOLKSWAGEN MOTORSPORT – INTERVIEW SPECIAL. Two years in development, roughly 10,000 kilometres of testing. As a race engineer, he guided Sébastien Ogier to four titles in the World Rally Championship (WRC) between 2013 and 2016. Nowadays, Dutchman Gerard-Jan de Jongh is responsible for the Polo GTI R5 in his role as project leader at Volkswagen Motorsport. 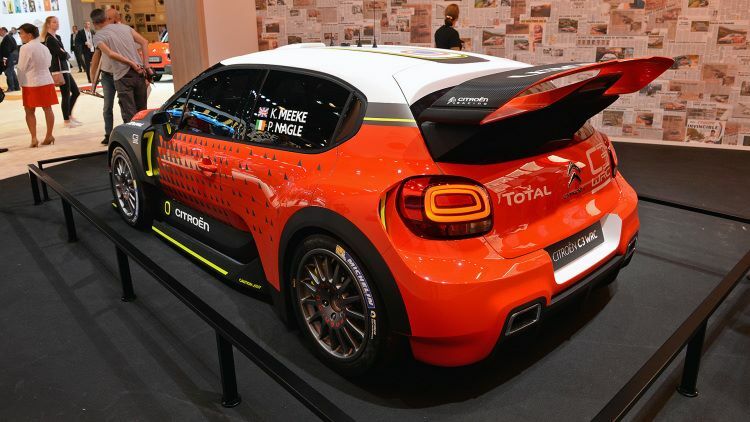 The 200-kW (272-PS) rally car will, in the future, be run by professional teams in the FIA World Rally Championship, interregional series like the FIA European Rally Championship, and national championships. In an interview shortly before the planned homologation on 1 October, 40-year-old de Jongh describes the challenges of the R5 regulations. The engineer also gives an overview of the development steps behind the Polo GTI R5 and looks ahead to the car’s competitive debut at the Rally Spain at the end of October. 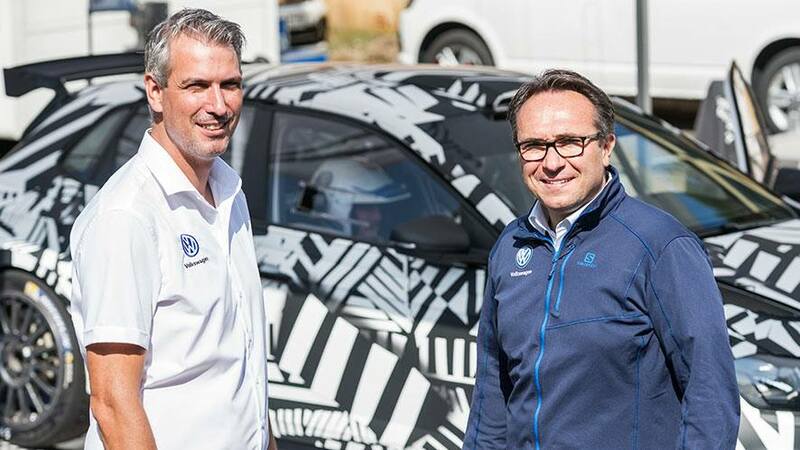 Mr. de Jongh, for several years you were Sébastien Ogier’s race engineer at Volkswagen Motorsport. Do you miss the competitive outings? My role as project leader for the development of a completely new rally car is obviously very different. I had the opportunity to continue to work as a race engineer, but found this new challenge at Volkswagen Motorsport very appealing. My job was suddenly far more complicated and complex than before. I am pleased that I took on this challenge. When did you start to develop the Polo GTI R5? In the week after the Rally Australia in November 2016, the last world championship event for the WRC team at the time. I started as soon as I got back to my office. The idea came from François-Xavier Demaison, Technical Director at Volkswagen Motorsport. Demaison is known as a perfectionist. How heavily involved was he in your work? FX (Demaison’s nickname) is currently responsible for four different projects. Despite this, he has still been very heavily involved in the development of the Polo GTI R5, right from the word go. We have had weekly meetings from the outset, at which we have discussed the further development of the car. FX is one of the most experienced engineers in rallying. His backing really helped me and the whole development team. What form did the first steps take in the development of the Polo GTI R5? I first thought about the basic concept of the Polo GTI R5, after which we came up with a design briefing. The next task was to find the right suppliers for the car components that are not made at Volkswagen Motorsport. In this regard, we were able to turn to a whole string of reliable contacts, with whom we worked on the Polo R WRC. They include Xtrac for the gearbox, Bosch for the engine electronics, ZF Sachs for the shock absorbers, and Alcon for the brakes. How big was the team that developed the Polo GTI R5? At Volkswagen Motorsport, we have design teams for the chassis, engine and suspension, each consisting of three to six employees. The work was divided between the team members. I was mainly in contact with the heads of department, but also with the designers. Experience has shown me that there is nothing better than personal contact. What were the basic parameters for the development of the Polo GTI R5? It was clear that the Polo GTI R5 had to be based on the 2017 generation of the production car. 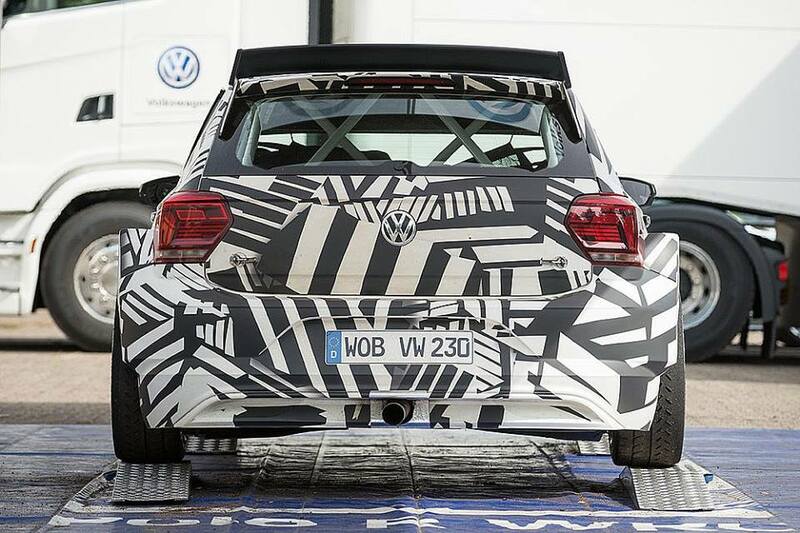 However, the new sixth generation Polo was not yet available when we started to develop the rally car. For this reason, we had to work exclusively with computer data. Thanks to the computer simulation, we had the chassis ready relatively early on in proceedings. We were then able to work with that in the wind tunnel. When defining the specification, we also placed great importance on ensuring that it was possible for private teams to look after the technical side of the Polo GTI R5 without any problems. How many components were you able to adopt from the Polo R WRC? Hardly any at all, because the technical regulations are completely different and the Polo R WRC was based on the previous model. However, we did adapt the design philosophy. For example, the mounting position of the shock absorbers, the spring deflection, the geometry of the suspension, and the position of the driver’s seat are similar. Exactly as we did with the Polo R WRC, we strived to make every single component as light as possible, in order to keep the car’s centre of gravity as low as possible. Here too, however, we were restricted by the regulations. Price limits are specified for many parts and a minimum weight is often stipulated – for the bodyshell, for example. … and sticking to this budget with an R5 car like the Polo GTI R5 actually represents a major challenge. It would obviously be possible to build a more effective car within the framework of the technical regulations. However, that would be too expensive and would have to come at a sacrifice. That is out of the question for our company and would not be in the interest of the sport. We have gained similar customer sport experience in touring car racing with the Golf GTI TCR. We were able to build on that for the R5. Furthermore, the regulations stipulate the use of production parts in certain areas, including the steering, radiator, drive shafts, cardan shaft and the engine. Where did you have to make compromises? Weight is a big issue with any racing car. As a rule, however, the lighter a part is the more expensive it is. As such, I had to make sure that the suppliers, with whom we wanted to cooperate, understood that we would have to find a compromise between performance and cost. Let’s take a part of the suspension, for example. In simple terms, we designed 90 percent of the part. We then took this design to the potential suppliers and asked them what price they would be able to supply the part for? The important thing was the quantity. We sometimes only needed a handful of the components for the Polo R WRC. In the case of the Polo GTI R5, which is designed for customer sport, we are talking about 50, 100 or even more parts. That obviously has a big influence on the price. The regulations do give us more leeway in this regard. The rules state that the rally car’s engine must stem from one of the group’s production models. We opted for the engine with the internal code EA888, a similar form of which, with a two-litre displacement, is also installed in the new Polo GTI. It was then modified accordingly for the Polo GTI R5. How long have you been testing with the Polo GTI R5, and which drivers were involved in the tests? The first test took place in November 2017 at the test facility in Fontjoncouse, France. 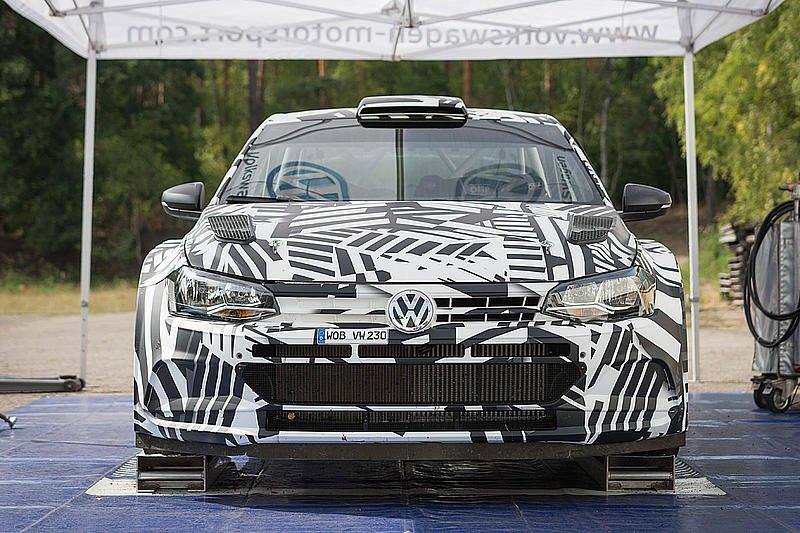 Since then, Volkswagen test and development driver Dieter Depping, Pontus Tidemand, former world rally champions Petter Solberg and Marcus Grönholm, Raimund Baumschlager, Eric Camilli, and Emil Lindholm have all driven the car. The test programme was demanding: temperatures ranged from – 16 °C to +40 °C and the testing took place at sea level and at 2,800 metres in the mountains. We tested in such varied conditions, in order to ensure that our customers receive a car that performs reliably at all times and everywhere. We also wanted to gauge the opinion of drivers with different driving styles, as well as asphalt and gravel experts. The Polo GTI R5 must be versatile and driveable by the widest possible range of drivers. In total, we will have completed about 10,000 test kilometres by the time the car makes its competitive debut – roughly half of those were on gravel and half on asphalt, as well as a few on snow and ice. 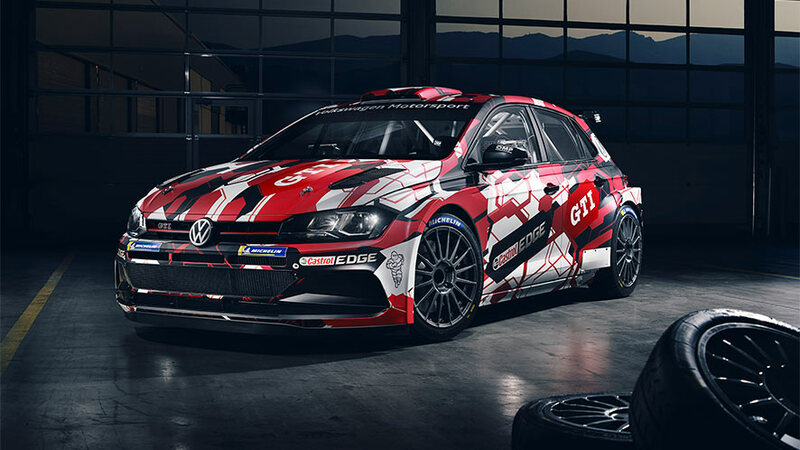 The Polo GTI R5 will make its competitive debut at the end of October at the Rally Spain, the penultimate round of the FIA World Rally Championship. What are your expectations? We will run two Polo GTI R5s, in order to show the potential of the car. The goal is to demonstrate how competitive the new Polo GTI R5 is at the highest level and on different surfaces. The Spanish round of the world championship is particularly well suited to this, as it is the only one held on both asphalt and gravel. However, we are well aware, from our time with the Polo R WRC in the FIA World Rally Championship, that good planning does not guarantee good results – particularly in rallying. We would be pleased with a good result in WRC2. In Eric Camilli and Petter Solberg, Volkswagen will have two experienced drivers at the wheel of the Polo GTI R5 at the Rally Spain. Why did you choose these two? Eric Camilli and his co-driver Benjamin Veillas played a key role in the development of the Polo GTI R5. Both have a wealth of experience in the WRC2 class of the FIA World Rally Championship and finished runner-up in 2017. 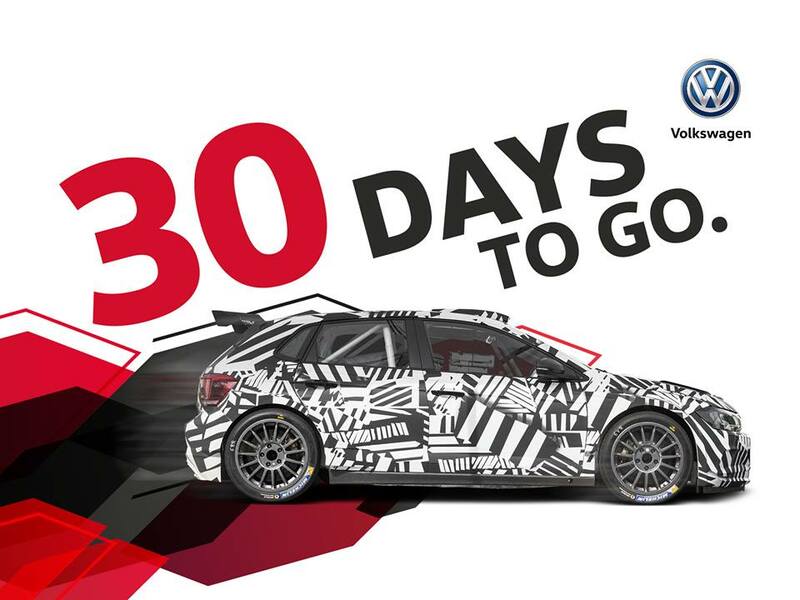 For them to be involved in the competitive debut of the Polo GTI R5 is the logical next step. Plus, we really value their detailed feedback and analytical approach. Petter Solberg was also involved in the development of the Polo GTI R5. He is one of the most experienced rally drivers in the world and his knowledge is a big plus for any team. Furthermore, he is associated with Volkswagen Motorsport through his team’s commitment in the FIA World Rallycross Championship (WRX). It is a special honour and great to have him driving the Polo GTI R5 at the Rally Spain. 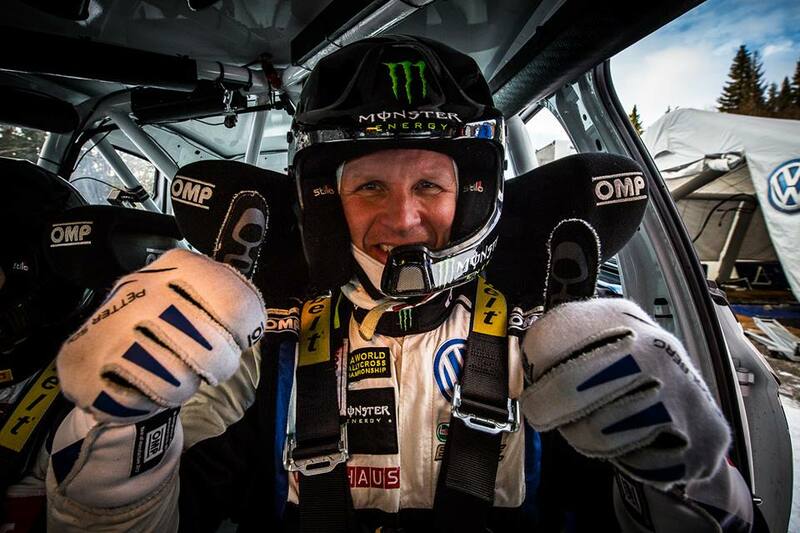 PETTER BACK TO THE WORLD RALLY CHAMPIONSHIP WITH VOLKSWAGEN. Petter Solberg will return to the World Rally Championship to drive Volkswagen Motorsport’s Polo GTI R5 at Rally de España next month. The Norwegian, who won the WRC title in 2003, will join the factory Volkswagen Motorsport team alongside Eric Camilli (FRA) for its one-off outing at the Salou-based event from October 25-28. Petter, who first tested the Polo GTI R5 in Sweden at the start of the season, will test the car ahead of his rally return. Since departing the World Rally Championship, Petter has focused his efforts on the World Rallycross Championship, where he won two more FIA world titles (2014/15). For the last two years, Petter’s own team – PSRX Volkswagen Sweden – has worked closely with Volkswagen Motorsport; the squad’s Polo R Supercars are prepared ahead of each World RX round in Hannover. 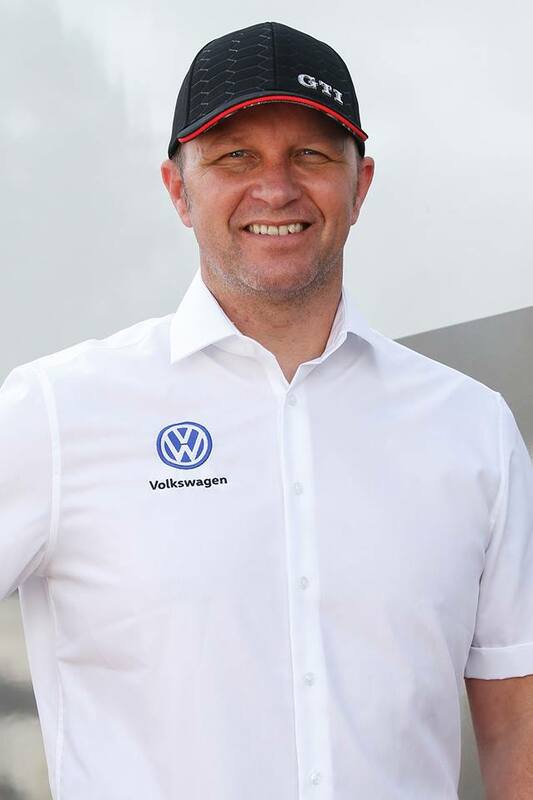 Petter said: “I think everybody knows about my passion for rallying and when Sven [Smeets, Volkswagen Motorsport director] asked me if I would like to do Spain in the Polo, I jumped at the chance. Norway’s Veronica Engan will co-drive Petter, having worked alongside him at his January test of the Polo GTI R5. Veronica is well acquainted with the Solberg family –she’s normally found co-driving Petter’s son Oliver. Petter’s illustrious WRC career spanned 14 years and 188 starts. He won 13 of those events, scored 54 podiums and collected 457 stage wins and 852 points. Beyond the numbers, Petter remains one of the sport’s most popular drivers and going back to Salou is bound to bring a range of emotions. “This is the place where I did my last event before I decided to switch to rallycross,” said Solberg. “It will be fantastic to be back, especially with this car and team. The chance to drive Volkswagen’s Polo GTI R5 on gravel and asphalt in the WRC’s only mixed-surface event is a challenge I can’t wait to start. I have seen what Volkswagen Motorsport does from the inside in World RX and it’s going to be a real pleasure to work with them in rallying. Being a natural competitor, Petter will have an eye on the times at an event where he finished second overall in 2010. 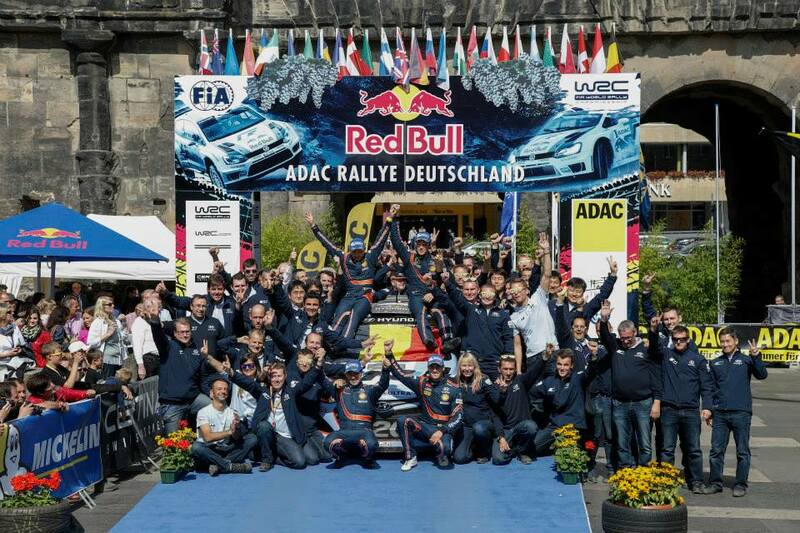 Volkswagen Motorsport director Sven Smeets said: “Petter is a true rally hero. 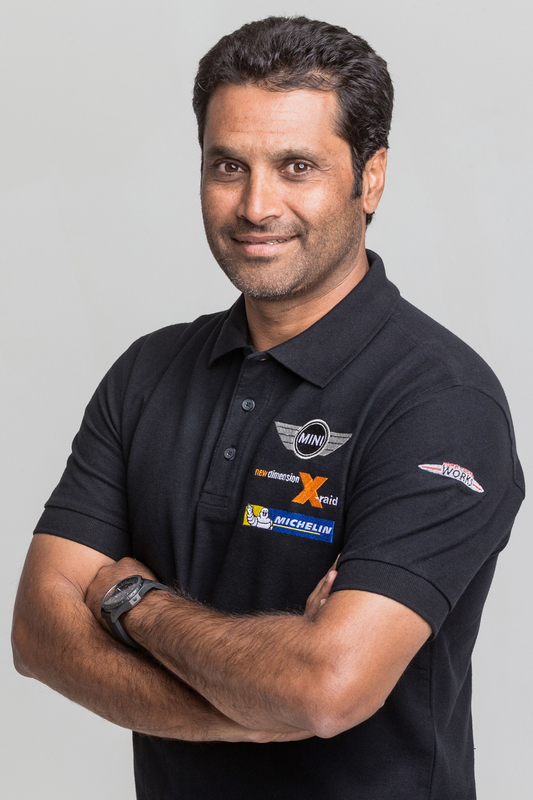 We have already experienced his passion and professionalism working alongside him in World Rallycross. To give everything, always 110 per cent is Petter’s trademark. “He tested the Polo GTI R5 and, from the beginning, it was our dream to have him in the car to give this new customer rally car its debut. It’s fantastic that he joins us in Spain to drive the Polo R5; I’m sure everybody is looking forward to seeing him back again – and our new car. Rally de España startswith a spectacular opening stage in Barcelona before moving into day one’s dirt stages in the Tarragona hills. For the weekend, it’s all about the racetrack-smooth roads inland from the service park at Salou’s popular holiday park PortAventura. Petter will face 18 stages on a 1,496 kilometres (929 miles), of which 331km (205 miles) are competitive. 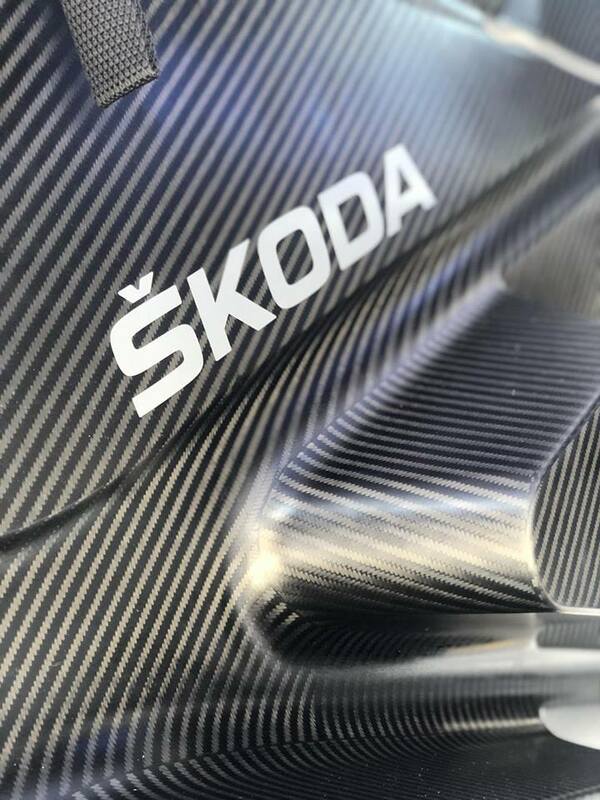 Copyright © 2018 PSRX Volkswagen Sweden Media Office, All rights reserved. WRC COMEBACK WITH VOLKSWAGEN: PETTER SOLBERG TO DRIVE THE NEW POLO GTI R5 IN SPAIN. Wolfsburg (20 September 2018). He’s back! 2003 champion Petter Solberg (N) returns to the FIA World Rally Championship (WRC) with the Volkswagen Polo GTI R5. Solberg and co-driver Veronica Engan (N) will compete in the WRC 2 class at the Rally Spain in Catalonia from 25 to 28 October. Six years after his last rally in 2012, the Norwegian will make his comeback in precisely the same place, at which he called time on his rally career. Solberg, who drives a Polo for his PSRX Volkswagen Sweden team in the FIA World Rallycross Championship (WRX), will briefly change fields. The new Polo GTI R5 will make its competitive debut at the Rally Spain, which will be the car’s only outing with the Volkswagen works team. The racing car will then be run by customer teams in national and international championships, in accordance with R5 regulations. Solberg returns to the WRC from the WRX for a weekend. 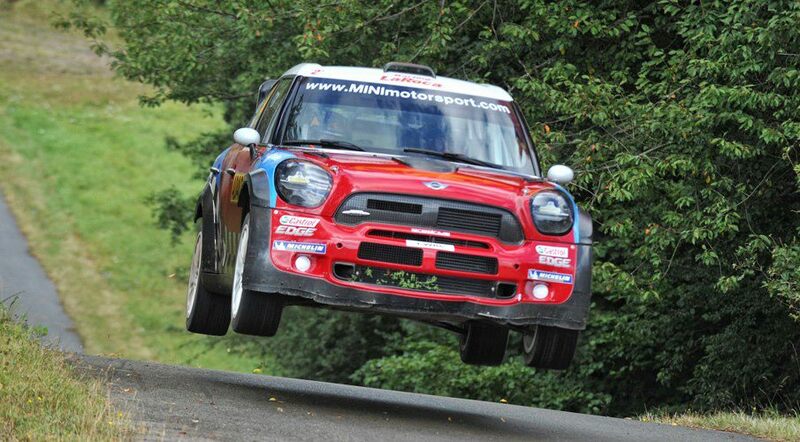 This sees the Norwegian return to his rallying roots. Between 1998 and 2012, he made 188 appearances in the World Rally Championship – with Toyota, Ford, Subaru and Citroën. In 2003, Solberg won the world championship title with Subaru, ending the season just one point ahead of eventual record-breaking champion Sébastien Loeb and third-placed Spaniard Carlos Sainz. He remains the last nordic world rally champion. In 2009, 2010 and 2011, Solberg competed in the WRC with his own team. He then spent one final year as a works driver with Ford in 2012. Solberg claimed 52 podium results in the World Rally Championship, 13 of them victories. 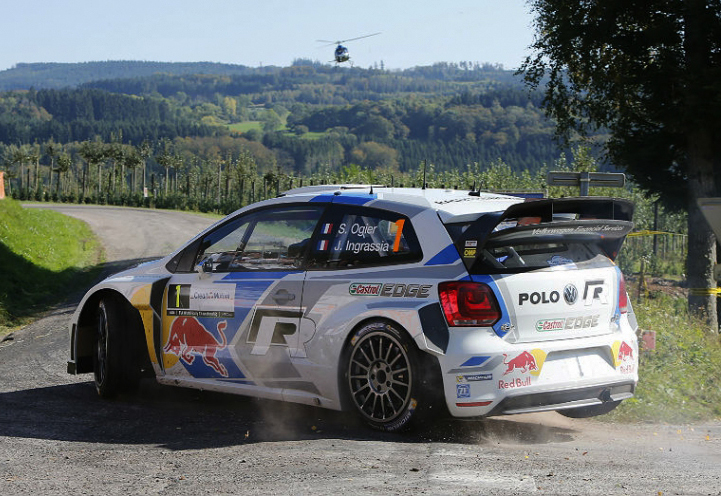 The Rally Spain marks Solberg’s first rally with Volkswagen, and his debut in an R5 car. 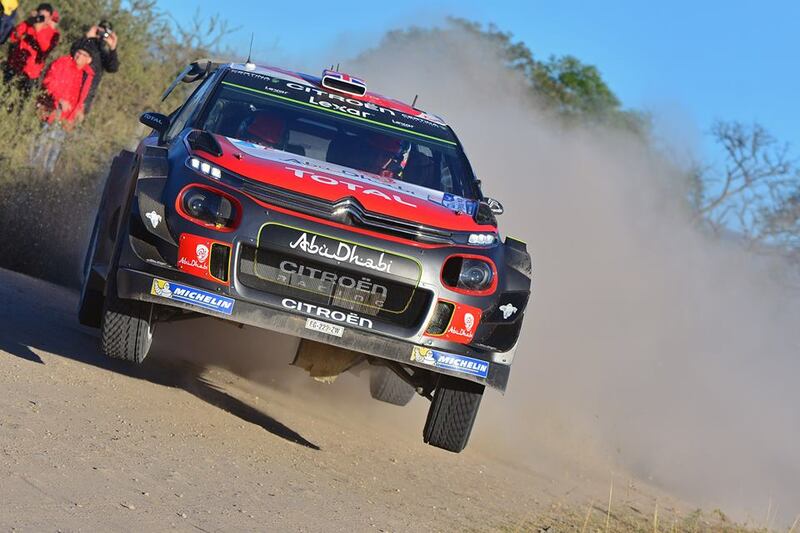 Solberg is the third world rally champion set to drive at the 2018 Rally Spain, where he will line up against reigning champion Sébastien Ogier and the returning Sébastien Loeb. As such, the last three men to win the title will all compete in Spain – albeit in different classes. 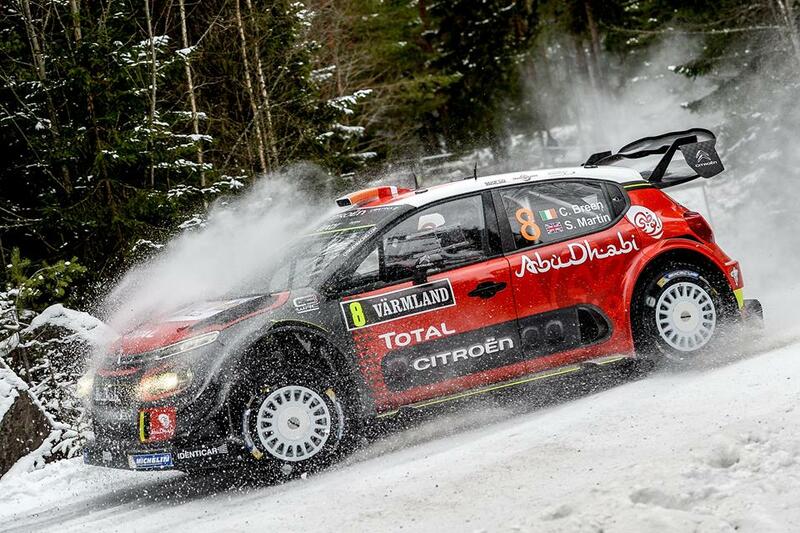 The last time three world champions raced at the same event was the 2010 Rally Finland (Loeb, Solberg, Kankkunen). After switching from WRC to WRX, the 43-year-old won the Drivers’ title in both 2014 and 2015. Volkswagen Motorsport and Petter Solberg’s PSRX team announced a partnership at the start of 2017. This has proven to be a winning combination: the team took the Team title and was behind the world champion, Johan Kristoffersson (S), in its very first year. 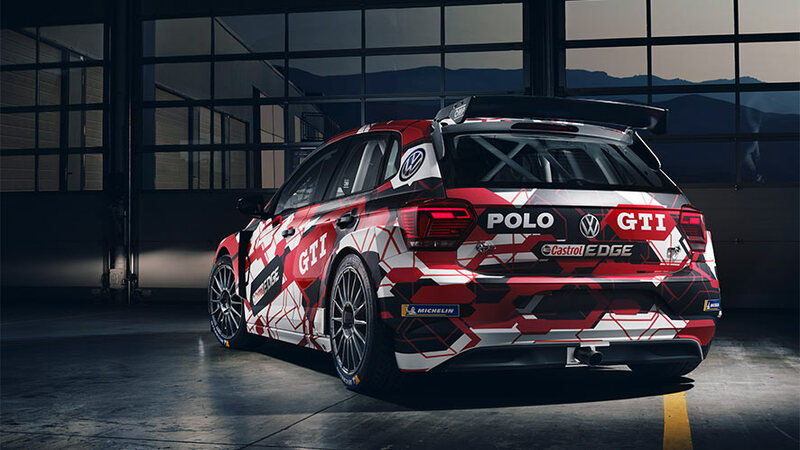 Volkswagen is responsible for the development and technical preparation of the two Polo R Supercars, while PSRX Volkswagen Sweden looks after the logistics, on-site running of the car, and the marketing side of things. Solberg remains the only driver to have won the Drivers’ title in two different FIA world championships. Solberg originally wanted to be a painter – however, he gave up his training place for motorsport. The rally pedigree within his family tree is evidence of the fact that speed is in his blood. “Mr. Hollywood” comes from an extremely successful dynasty of rally drivers: his parents both successfully took part in Autocross races. His brother Henning Solberg recently claimed the best result for an R5 car in the overall standings at the Rally Turkey – sixth place – and can also look back on an eventful WRC career. When Petter married his wife Pernilla, the Solbergs joined forces with the Walfridsson family – already an established name on the Rallycross and rallying scene. Pernilla was long regarded as one of the best female rally drivers in the world. It is no wonder then that their son Oliver has already enjoyed great success as he follows in his parents’ footstep – including in the FIA Baltic Rally Trophy and the Latvian and Estonian Rally Championship. The choice of co-driver for the Rally Spain was an obvious one. Veronica Engan has competed alongside son Oliver in various R2 rallies since 2017, and is virtually a member of the family. The 34-year-old can point to roughly 150 starts with Nordic rally drivers, including Eyvind Brynildsen (N), Marius Aasen (N), Johan Kristoffersson (S), Bernt Kollevold (N) and Anders Grøndal (N). Her career started in 2003, since when she has 27 WRC and seven WRC 2 rallies to her name. 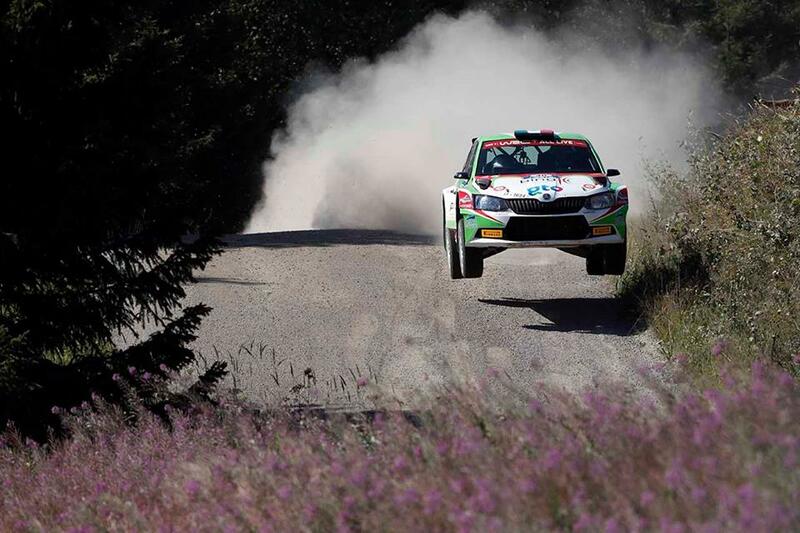 Her best result came in 2009, when she finished seventh alongside Mads Østberg at the Rally Italy on Sardinia.